Lye-based Anchor Logistics have joined forces with the Monmore Green club who will race for a 10th successive season after rising from the ashes in 2010. David Turley of Anchor Logistics is a Heathens fan going back to the early 90s at their former Dudley Wood home watching World Champions Greg Hancock and Billy Hamill in action. He’s remained a firm fan of the sport ever since and is now delighted to be joining the club and the team will now be known as the Anchor Logistics Heathens. The 2019 National League Fixtures have been announced. THE HEATHENS ARE BACK FOR 2019! It is confirmed that the Heathens are back for the 2019 Season. 8 teams have declared their intentions for 2019, Belle Vue, Cradley, IOW, Kent, Leicester, Mildenhall, Plymouth and Stoke, with the possibility of more teams before the fixtures are announced. 7 man teams with an average of 36 and a minimum average of 2.00 to encourage new riders. Buxton will compete in 'open' fixtures only but it is hoped that one shared event will be allocated to the club. 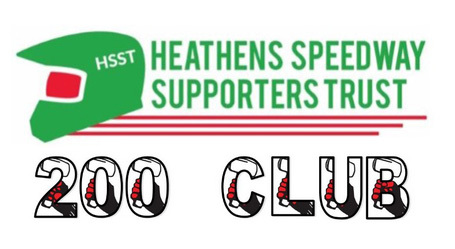 Longtime Heathens fan Colin Jewes has sent us a link to a slideshow that he has created. It has some photo's that have previously been unpublished and John Summerfield has given permission for these to be used. The slideshow follows the story of the Heathens all through the 60's with the story of the Heathens with a musical background. It's AD free and you can 'click' to make it full size. Enjoy! Limited dates from Monmore Green, so Cradley could not race in the National League in 2018. However to keep the Heathens name alive the management decided to race the five team Northern section of the National Trophy. The difficult circumstances with riders not being tied to just the Heathens club for just 10 matches would always cause difficulties. Cradley were allowed to cherry pick riders from other clubs. SIGN THE PETITION YOUR SUPPORT IS STILL NEEDED - CLICK HERE TO SIGN! 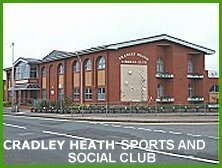 Copyright: Steve Johnson & Cradley Heath Speedway Ltd. 2017.